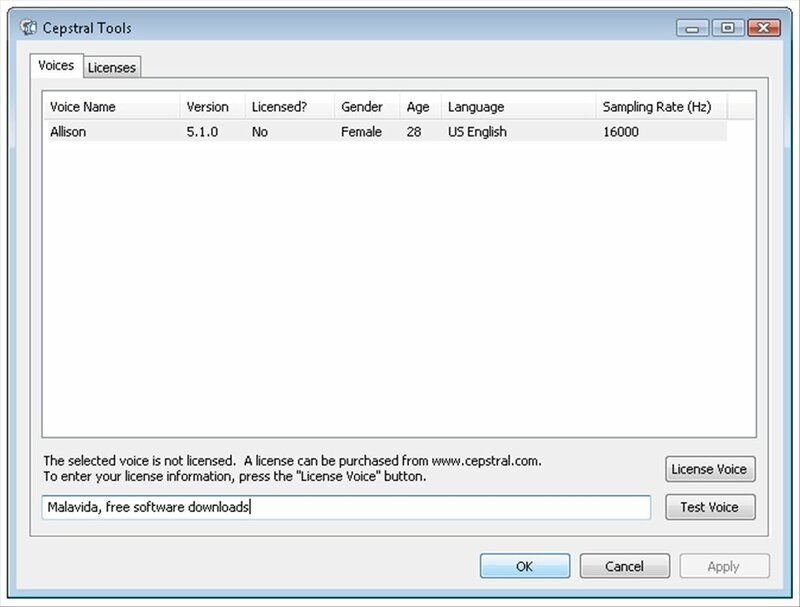 Cepstral is a text-to-speech tool capable of reading text aloud. You only have to indicate a text fragment and Cepstral will take care of playing it in audio. Use realistic synthetic voices to give life to your texts and articulate its sound. The technology of Cepstral TTS provides natural voices and high quality which can be easily implemented on various devices and platforms. 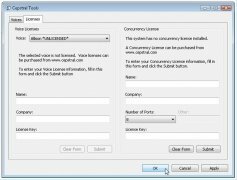 Take advantage of your computer of this innovating way to give life to your written texts! 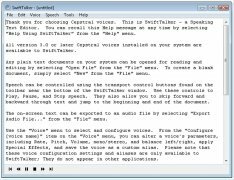 Text-to-speech application. Play written texts as audio. Vast amount of voices, both male as well as female to choose from. Select the language of your voice, which is most appropriate according to your language. Includes the SwiftTalker text editor. 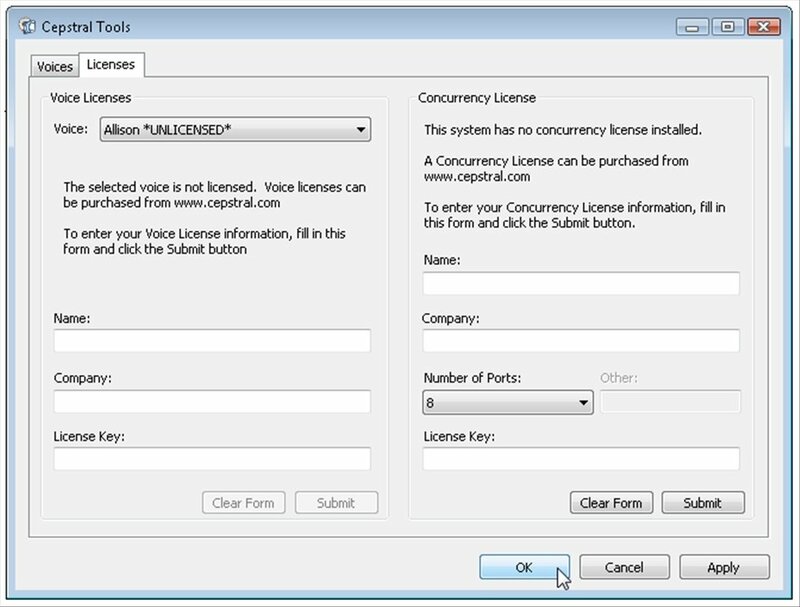 This kind of program is perfect in any situation in which you need to listen to written text. Given its nature it is also advisable for people with visual impediments. Download Cepstral for free. 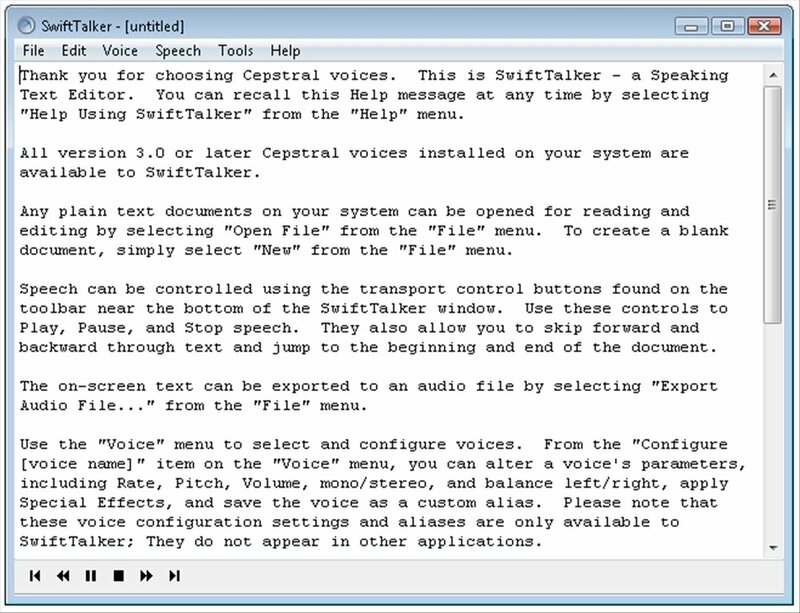 In this version, the voice used is that of Allison, a synthesized female voice, but you'll be able to find a vast amount of alternative voices, including male voices, on the application's website.